British Prime Minister Theresa May hopes parliamentarians will support her proposal to offer them a say over a Brexit deal, according to her spokesman. The prime minister cannot accept a competing proposal from Britain’s House of Lords because it would weaken the government’s authority to secure the best possible deal with the EU, the spokesman said on Tuesday, before a showdown in parliament over her plans to leave the European Union. “We cannot accept the amendment on (a) meaningful vote agreed in the Lords. Agreeing to amendable motions would allow parliament to direct the government on its approach to exiting the EU, binding the prime minister’s hands and making it harder to secure a good deal for the UK,” he told reporters. May has said that it is essential to ensure that parliament could not block Brexit. On Sunday, May defended her way of passing the legislation that will pull Britain out of the European Union. 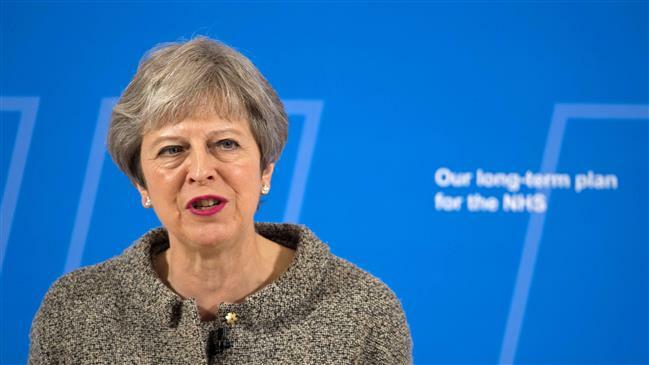 On Tuesday, May defused a rebellion in parliament over her Brexit plans after she was forced to compromise and hand lawmakers greater control over Britain’s exit from the bloc. May held talks with more than 14 Tory rebels in her Commons office that lasted 11 hours, giving them personal assurances that she would agree to the broad thrust of their proposals. The premier’s concession may mean lawmakers could have more power if she fails to seal a Brexit deal, possibly resulting in a softer approach to Britain’s divorce. However, presently, MPs will not be able to send the government back into negotiations if they refuse to accept an agreement with the bloc.